We are the largest online distributor for the Wedding Gown Preservation Kit, the nation’s most trusted wedding dress cleaning and preservation service. 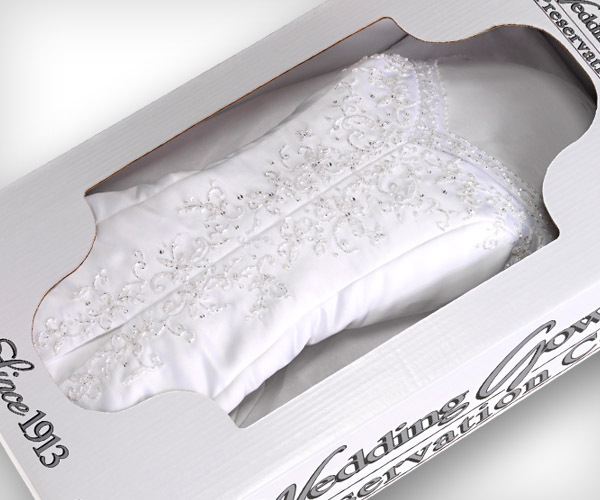 The service includes shipping to and from the preservation studio, a thorough and delicate cleaning of your gown, a beautiful white embossed display case, and a 100 year guarantee against future yellowing. Use checkout code “BBRIDE” and receive a complimentary Starbucks™ gift card so you can enjoy a coffee while your gown is being cleaned and preserved.